Ramakrishna Mission Vivekananda Educational and Research Institute was accredited by NATIONAL ASSESSMENT AND ACCREDITATION COUNCIL (NAAC) with A++ grade (Highest grade) with CGPA of 3.66 (out of 4). The accreditation was completed and grade declared on 28th of March 2019. The Ramakrishna Mission Vivekananda Educational and Research Institute is the only institute from Bengal that has bagged the highest score, A++, in the latest round of evaluation by the National Assessment and Accreditation Council (NAAC). This was the first time the 14-year-old institute in Belur, run by the Ramakrishna Math and Mission, was assessed by NAAC. The results of the latest assessment were published on Thursday. Eight institutes from across the country — including the Indian Institute of Science, Bangalore, and the SRM Institute of Science and Technology, Chennai — have got the highest grade. A NAAC accreditation is valid for five years. The Belur institute has got a cumulative grade point average of 3.66 out of 4, officials said. “This is a unique and unparalleled achievement for a university going for NAAC accreditation in its very first cycle — clear and authentic recognition of the academic excellence of Ramakrishna Mission Vivekananda (Deemed) University by the autonomous and authorised accrediting institution NAAC,” said Swami Atmapriyananda, vice-chancellor of the institute. Headquartered at Belur Math, the multi-campus institute follows a university education system envisioned by Swami Vivekananda. Apart from Belur, it functions from Narendrapur, Coimbatore and Ranchi. The institute offers undergraduate, postgraduate, doctoral and diploma programmes in subjects such as Sanskrit, physics, mathematics, computer science, yoga, rural and tribal development, agriculture, disability management and disaster management…. 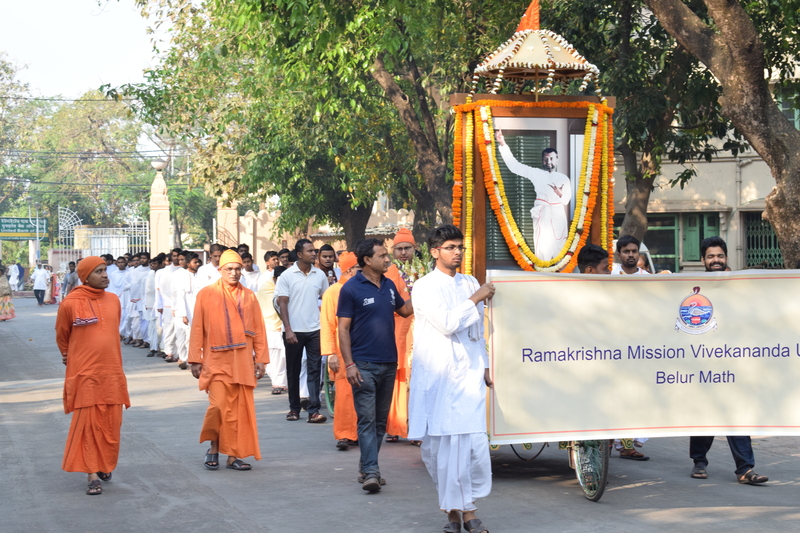 Ramakrishna Mission Vivekananda Educational and Research Institute, the Deemed-to-be-University has been awarded the Grade of A++ with CGPA of 3.66 by the National Assessment and Accreditation Council In the recently announced results released on March 28, 2019. The institute is headquartered in Belur Math, with ‘Off-Campus’ Centres in Coimbatore (Tamil Nadu), Ranchi (Jharkhand) and Narendrapur (West Bengal). The accreditation makes the Deemed-to-be-University second in the whole country among the Universities that have been accredited in the Revised Accreditation Format (RAF) initiated from July 2017 by NAAC. The A++ accreditation will be valid for five years up to March 28, 2024. The National Assessment and Accreditation Council accredits various higher education institutions after proper assessment based upon various seven criteria like Curricular Aspects, Teaching-Learning and Evaluation, Research, Innovations and Extension, Infrastructure and Learning Resources, Student Support and Progression, Governance, Leadership and Management, Institutional Values and Best Practices. From July 2017, NAAC has revamped its process and introduced 70 percent assessment through Data Verification and Validation and the rest 30 percent is done through an expert team (called Peer Team) visit based on the responses to certain Qualitative Metrics. The quantitative and qualitative aspects are then combined and the final grade is awarded in 0—4 scale.